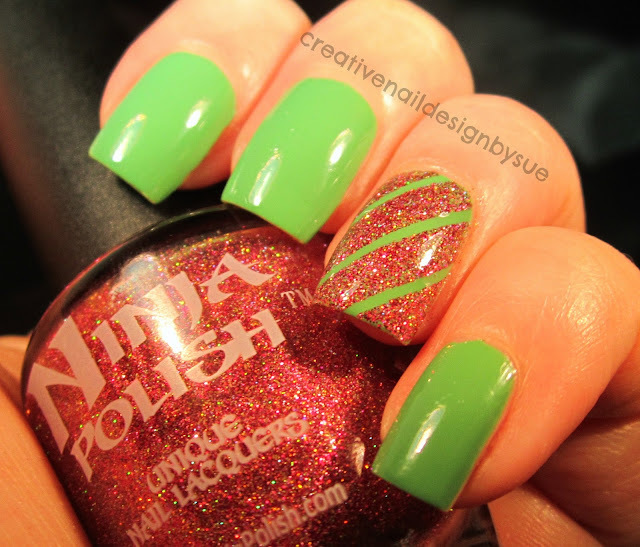 After I bought Ninja Polish Strawberries N Roses from their bling collection, I decided it would be really amazing paired with green since there are small flecks of green in the amazingly packed glitter bomb. When I recently purchased from Zoya during their Earth Day sale, I bought Josie from the 2013 summer collection and knew they would be a perfect match. I am in love with this combination and the photo does not do it justice. You're right - absolutely perfect! Great color choices. And your lines are perfect!! Your right, this looks completely amazing paired with green!